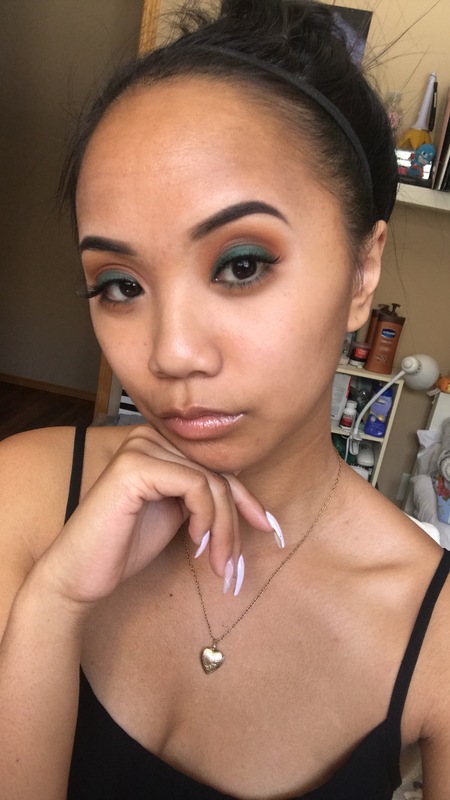 MOTD: Caramel Apple Eyes – MorphexJaclyn Hill palette – alittlebrittofeverything. Hey everyone! I’m the kind of person that hoards eyeshadow palettes yet, ends up doing the same neutral look whenever I decide to wear eyeshadow. I thought it would be a good idea to challenge myself to do a different look at least once a week. This way, I can get maximum use out of all my palettes, get more practice in which will allow me to become better at application and force myself to be a bit more active on here. I’ve been lacking inspiration and I think this is a good way to get my creative juices flowing (but mostly, I just really need to practice). I’m super excited because on my trip to NYC (which I will update you all on eventually), we were able to stop at an Ulta and I was finally able to get my hands on the Jaclyn Hill palette! I know it’s been out for at least a year now at this point, but I didn’t want to pay shipping or hit my credit card with that foreign exchange fee y’knowwhatimsayinnn. This look is a recreation of Holly Boon’s look on Youtube (click here for the link to the video). I loved the way she used the green as a pop of colour against the neutral shades in her crease. It also just looked really pretty on her, so I wanted to try and recreate it as the first look of this series. 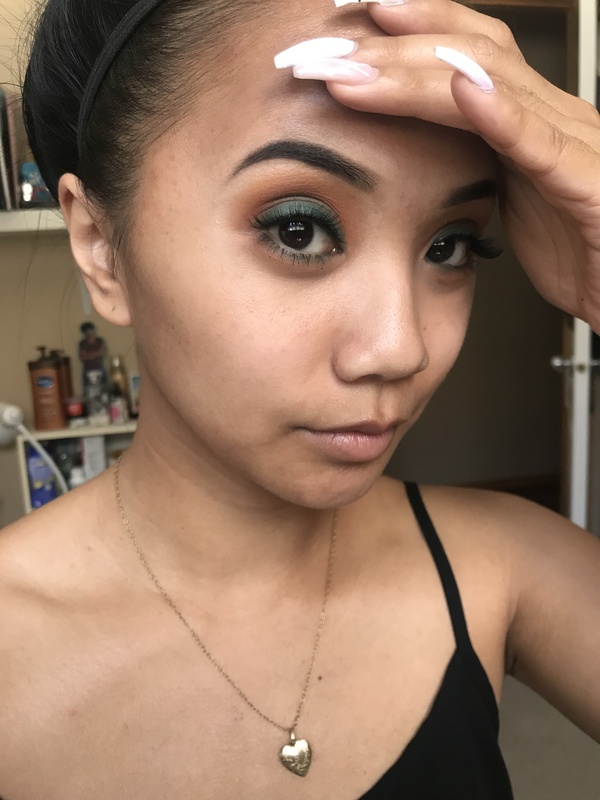 She didn’t really name the look, but I called it Caramel Apple, because the way it looks on my eyes reminds me of those Caramel Apple lollipops I loved as a kid. I won’t go into detail about the steps and which shadows were used, because it’s all included in the video! First of all, ignore the fact that only my eyes are done and not the rest of my face. That would’ve helped balance the look out, but I didn’t, and I’ll do it next time hehe. I also wish I had more dramatic lashes, because I think that would really elevate the look. The green doesn’t appear as vibrant as Holly’s. I think it’s because I didn’t use a light enough eyeshadow primer (I used concealer, but I blended it out first, so that kind of took away the brightness of it). I definitely need to keep practising blending and working on shaping the shadows nicely, so that it doesn’t look like a blob on my eye. Other than that, I’m pretty happy with how it looks! 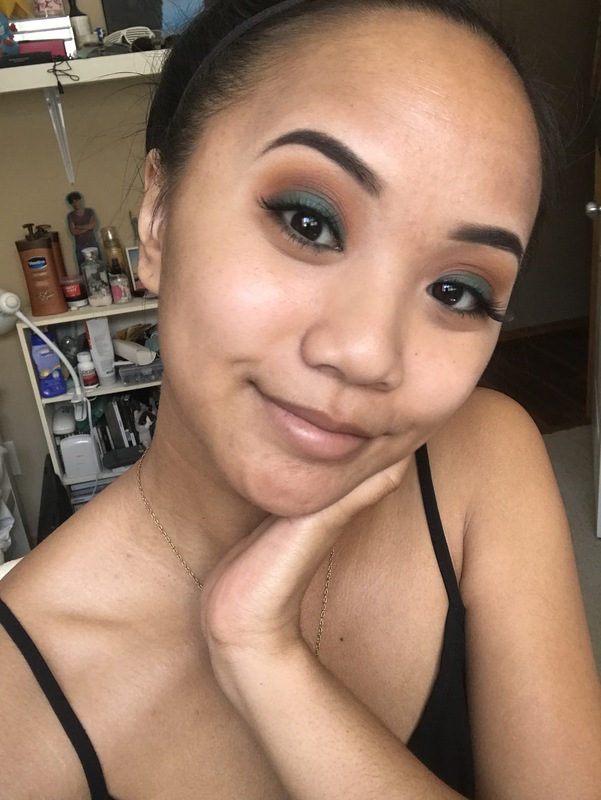 I seriously never incorporate colour into my makeup (like I said, I’m a warm/neutral hoe), so even that little bit of green was a big change for me. I’m quite impressed with how pigmented and easy to blend the shadows were. I can’t wait to use every shade in this palette! I still have lots of room for improvement! If you have any tips you would like to share, or looks you think I should try out next, you can leave a comment down below and I’ll make sure to try it out! Previous Post Does Biotin Actually Work?